The College Archives is the repository for all permanent non-current records of enduring administrative, historic, or legal value from the academic and administrative units of Centenary. These records document the history of Centenary College of Louisiana and its two predecessor institutions. The College Archives includes the board of trustees minutes, faculty minutes, presidents’ papers, and records of the offices and departments of Centenary. Also included are college publications such as course catalogs, yearbooks, student newspapers, faculty newsletters, and alumni magazines. The personal papers of faculty, students, and alumni are located within our Special Collections. Annual catalogs contain information about the College, its people, buildings, and history. Title varies slightly: Catalogue, Bulletin, Announcements. The Yoncopin is the annual student yearbook of Centenary College of Louisiana; it began publication in 1922. The Pine Burr served as the annual student yearbook of the Centenary Academy; it began publication in 1925. The Conglomerate is the student newspaper of Centenary College of Louisiana; it began publication in 1922. An earlier student publication, The Maroon and White, existed from 1900 until 1921. The Archives is missing some issues of the student newspaper published before 1959. Can you help us complete our collection? First, check our List of Missing Issues. Le Tintamarre is the French-language student newspaper of Centenary College of Louisiana; it began publication in 1996. The Educational Echo newspaper documented the activities of Centenary and The Mansfield Female College; it began publication in 1899. Programs list graduates by name. Please note that the programs are not official records of attendance or graduation. Publication for alumni and friends of Centenary College of Louisiana. Title varies: Centenary College Alumnus (1925), This Is Centenary (1942-1946), Bulletin of Centenary College of Louisiana (1947), This Is Centenary (1947-1968), Alumni Magazine (1969-1970), Centenary (1970-1988), Centenary Today (1988-2005), Centenary Magazine (2006-2010). The College of Louisiana, or Documents and Facts Relating to the Impeachment and Dismission from Office of Rev. J. R. Hutchison, Principal of the Preparatory Department of Said Institution. (New Orleans, LA: Hotchkiss and Company, 1836). Laws for the Government of the College of Louisiana, adopted by the board of trustees, July 17, 1839. (Jackson, LA: Robert C. Carman, 1839). The Substance of a Sermon, delivered at the commencement of the Centenary College, July 26, 1842. Author: William Winans. (Jackson, MS: Southron, 1842). An Address Delivered Before the Literary Societies of Centenary College (of Louisiana), at Jackson, La., on the 25th July 1854. Author: Christian Roselius. (New Orleans, LA: True Delta Office, 1854). Statutes of Centenary College of Louisiana, adopted by the joint board of trustees and visitors. (Baton Rouge, LA: Gazette Book and Job Office, 1856). The Claims of Philanthropy: An Address by Rev. C. K. Marshall, A. M., delivered at Jackson, LA., July 30th, A. D. 1856, on the occasion of laying the corner stone of the new edifice of Centenary College (of Louisiana). (Vicksburg, MS: American Times Book and Job Printing Office, 1856). Students of the College of Louisiana and Centenary College of Louisiana, 1825-1902. (s.l. :s.n., 1902). Centenary College of Louisiana - an open letter - full text of the deed of transfer from the Board of Trustees to the legal conference - an ode - chronicles of Centenary College. (s.l. :s.n., 1906). Centenary College and Methodism in Louisiana. Author: Henry H. Ahrens. (Shreveport, LA: Centenary College of Louisiana, 1922). Centenary's Next Century. (Shreveport, LA: Centenary College of Louisiana, 1924). Centenary College Songs and Yells, 1927-28. (Shreveport, LA: Centenary College of Louisiana, 1927). Centenary College Goes To War In 1861. Author: Arthur M. Shaw, Jr. (Shreveport, LA: Centenary College of Louisiana, 1940). Endowed With A Trust are the men and women who guide the activities of Centenary College. (Shreveport, LA: Centenary College of Louisiana, 1946). Christian Education and Centenary College of Louisiana. Author: Charlton H. Lyons. 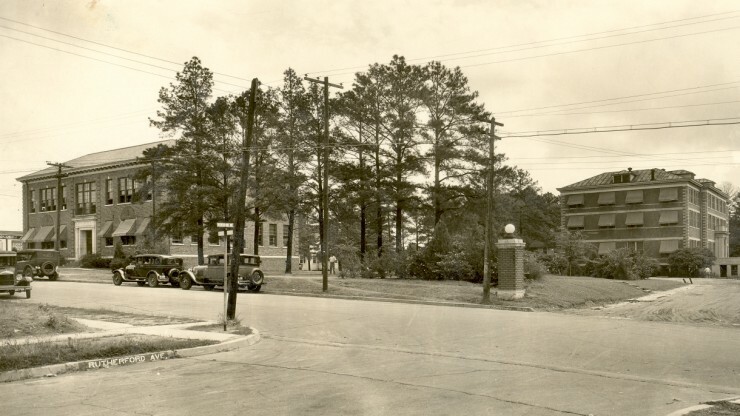 (Shreveport, LA: Centenary College Alumni Association, 1947). Ten Years: 1945-1955. (Shreveport, LA: Centenary College of Louisiana, 1955). The Church-Inspired Liberal Arts College. Author: Paul M. Brown (Shreveport, LA: Southwestern University and Centenary College of Louisiana, 1960). Centenary College of Louisiana: Sesquicentennial, 1825-1975. Author: Walter McGehee Lowrey. (Shreveport, LA: Centenary College Alumni Association, 1975). The Dean Smith Years: Centenary College, the Four Square Bible Class. Author: Bentley Sloane. (s.l. : B. Sloane, 1978). The Paul Brown Era at Centenary: Years of Growth. Authors: Paul Marvin Brown, Walter McGehee Lowrey, and Donald Arthur Webb. (Shreveport, LA: Centenary College, 1981). 175 Years, Centenary College, 1825-2000: A Brief History of Centenary College of Louisiana. Author: Bentley Sloane. (Shreveport, LA: Centenary College, 2000). Glory Years of Football, Centenary College of Louisiana, 1922-1942. Author: Bentley Sloane. (Shreveport, LA: Centenary College, 2000). Centenary College of Louisiana, 1825-2000: The Biography of an American Academy. Author: Lee Morgan. (Shreveport, LA: Centenary College of Louisiana Press, 2008).